Learn to Make The Quirk! Cocktail - Quirk! If you follow us on social media, you may have seen posts about our Quirk! demo days in London this July! 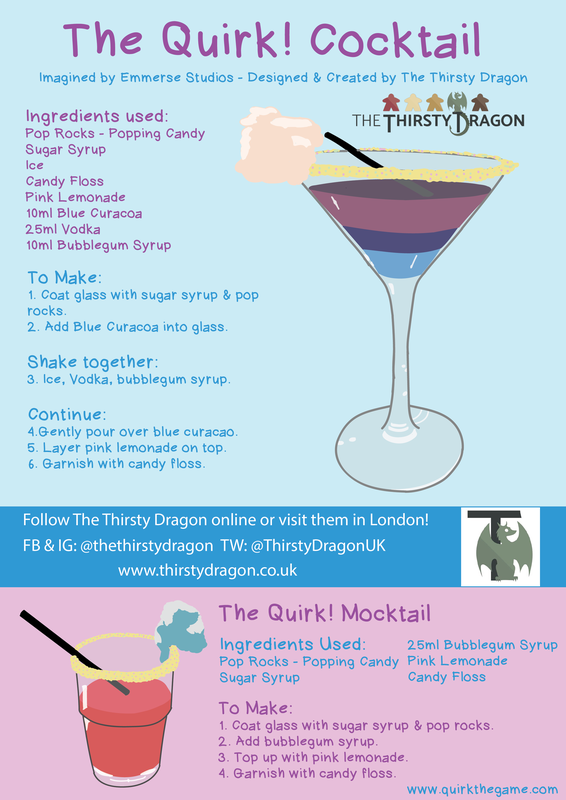 As part of our demo evening with The Thirsty Dragon in Greenwich, London, they made us our own Quirk cocktail! It was exclusive for the event, however a lot of you asked us to deliver it to different parts of the UK and even the US! So we've made an infographic of how to make the Quirk! cocktail so you can make it at home too! We also have a Mocktail as a child-friendly version. We recommend this drink only as a one time thing as it's quite sugary. You'll find it includes pop rocks (popping candy) and candy floss! It's ultimately a super fun drink and we really hope you enjoy it! The Thirsty Dragon is a new board game cafe and bar in Greenwich, London. We were lucky enough to demo our game as part of New Games Thursday and get a quirky cocktail to go along with it. We had a great time here, meeting new people and playing rounds of Quirk! 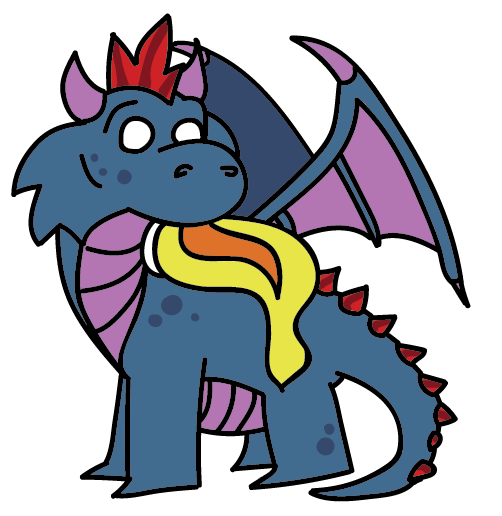 and Quirk! Legends. Plus the food is utterly amazing, it's well worth checking out!